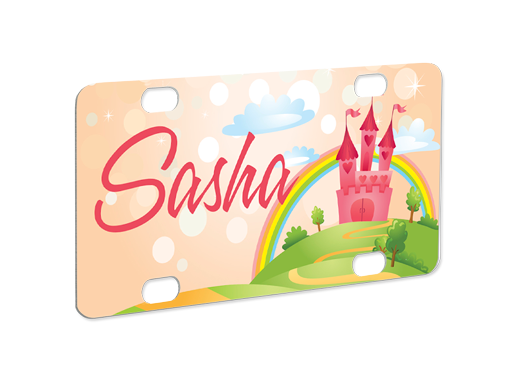 Unisub License plates are a great way to promote a company name, show team spirit or make a unique senior photo gift. 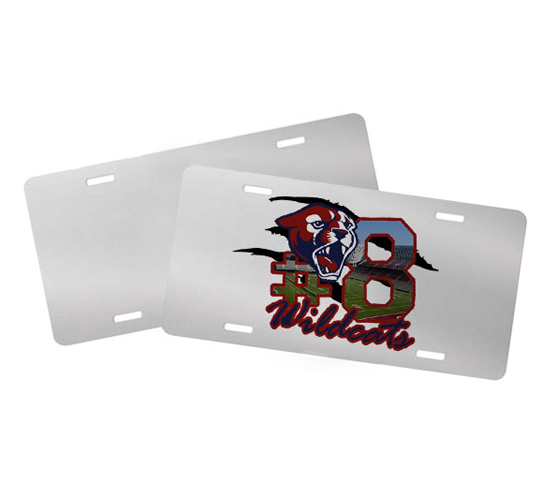 The mini license plates can be used for most golf carts or go-carts. They can also a fun way to personalize a child’s bicycle or wagon! 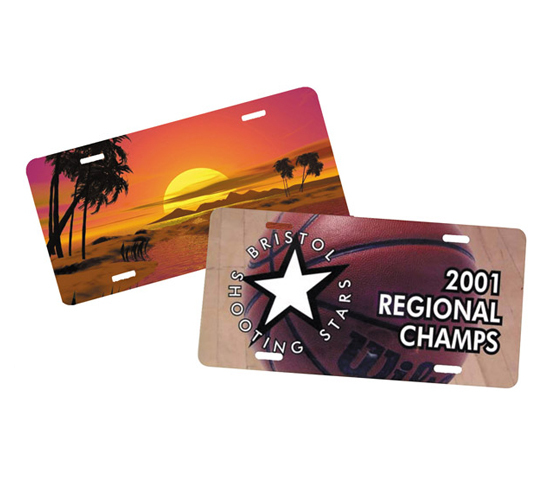 Unisub License Plates are available in aluminum with a gloss white, gold or silver finish. Important note: We strongly suggest checking your state/local laws for regulations and requirements regarding personalized front bumper license plates and/or the use of license plate frames. UNISUB does not make any guarantees for fit or compliance with state/local laws.